The first time I saw and heard The Four Bags, I admit to laughing a lot during the band's first set. Seriously, a band that could interpret the Beach Boys and Kurt Weill in the same set, changing tempos at will, swinging the heck out of an accordion, upsetting tradition without burning it in effigy, and do all that in one set, I was hooked. In the band's 18 years, there has only been one change in personnel; original members Brian Drye (trombone), Mike McGinnis (clarinet), and Sean Moran (guitar) were joined by Jacob Garchik (who took over accordion duties in 2004 from original member Tom Aldrich. Since all four members are so busy, they don't get together often, meaning have a new album to dig into is a real treat. 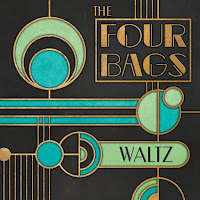 "Waltz" (NCM East) is the Bags's fifth album and is a fanciful program of waltzes from different traditions. Opening with a delightful take of "El Caballo Bayo", from the pens of Carlos Gardel (1890-1935) and Francisco Brancatti (1890-1980), the music starts out in a hurry but soon slowed down into a "sweet" reading of the melody. Then, it's back to the bounce before dropping back into a slow "drag" for a boozy trombone. Trust me - it sounds better than it reads. "Puerta Del Principe", a piece by flamenco guitarist Manolo Sanlucar (born 1943) has a lovely melody and a smart arrangement that allows all voices to be heard as well as a strong solo from Moran. Each Bag-man contributed, at least, one original composition. The pieces range from Drye's handsome round "Runaway Waltz" (with hints of West African guitar in Moran's sound) to Garchik's "merry-go-round" sound on "Waltz of the Jacobs" - one can imagine well-dressed people swirling around a ballroom at times during the song. Moran's "Invisible Waltz" has a sweet melody that opens to short statements from each member. There is a touch of melancholy in the deliberate pace and sound of the piece. The cinematic quality of McGinnis's "Vaults Dumb 'Ore" brings to mind Nino Rota's music; listen to how the melody is passed around the ensemble and the short moments of harmony. Drye's "G Is For Geezus" has a generous touch of gospel in its theme and presentation, becoming quite the "revival meeting" romp in the solo section. Sprinkled through the program are three short remixes by Curtis Hasselbring of "Les Valse Des As" (a piece credited to G. Jacques) plus the album closes with a Garchik arrangement (derangement might be a better word) of the piece that sounds as if it was recorded in the 1920s. 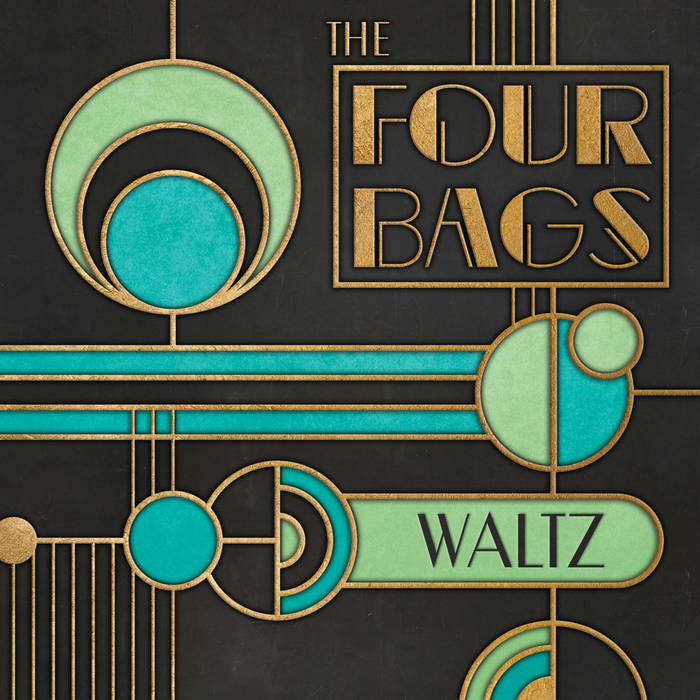 True to the spirit of The Four Bags, "Waltz" is playful, adventurous, generous, and musical. There is humor in these grooves but listen for the melodies as they will make you smile more often than not. For more information, go to thefourbags.com. T'would be easy to write that Innocent When You Dream is a Tom Waits cover band without vocals and leave it at that. While artists have been recording Waits's tunes for several decades, especially the ballads, few if any "play" with them. With a career that spans nearly five decades and a sound like no one else, it's fun to see what fresh ears can do. 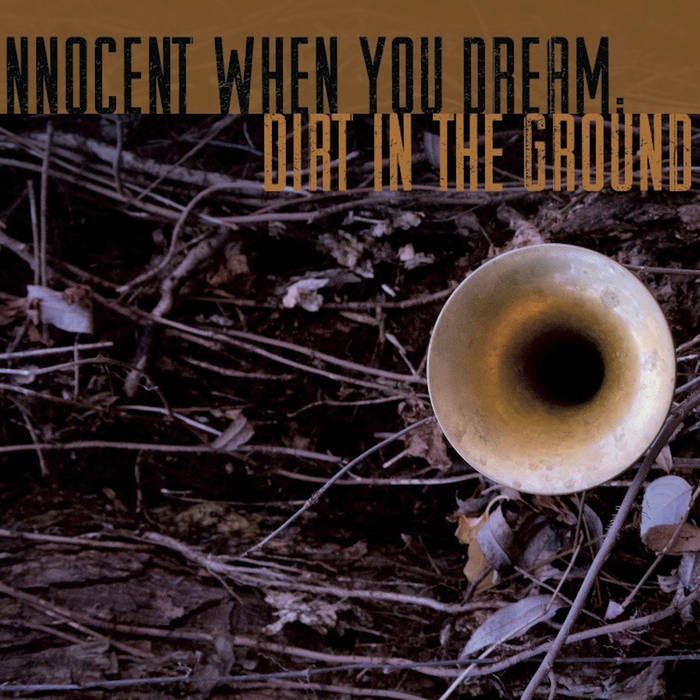 Led by Aaron Schragge (Dragon Mouth trumpet, shakuhachi), the sextet - Jonathan Lindhorst (tenor saxophone), Ryan Butler (electric guitar), Dan Fortin (acoustic bass), Nico Dann (drums), and Joe Grass (pedal steel on eight of the 11 tracks that make up "Dirt In The Ground" (self-released) - delves deeply into the blues and folk elements that have been ever-present in Tom Waits since his recording debut in 1973. "Ol' 55" appeared on that album ("Closing Time" on Elektra) and here it's a country lament with the tenor on lead (Shragge only plays on the "head") while the pedal steel plays sorrowful keening riffs in the background and, as well, during his solo. The title track features Shragge playing the melody and solo on shakuhachi (Japanese flute). The sound is entrancing, perfect for the bluesy quality of the sound and also affecting how the tenor and guitars sound (long notes that slowly fade away). There is also a dream-like quality to "The Briar and the Rose" with the flute again in the lead. 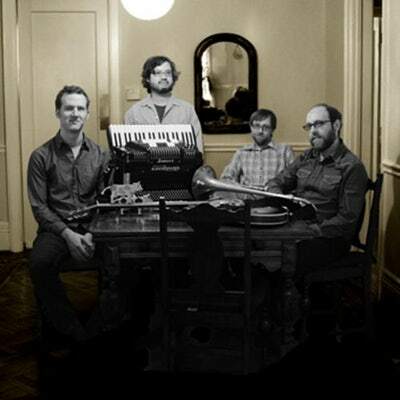 The music moves so slowly, molasses-like , that it serves as a lullaby. 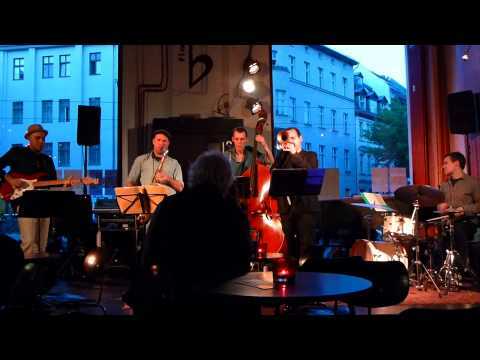 Like so many of these songs, the melody is so well-drawn that the sextet can take its time. The group gives a loving reading of "In the Neighborhood", a paean to a hardscrabble side of town. There's a melodic bass solo plus a sentimental, but not treacly, trumpet reading of the melody. 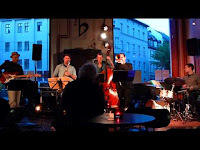 "You Can Never Hold Back Spring" is played with such love; listen to the blend of guitars beneath the trumpet melody and the short saxophone solo plus the active yet restrained rhythm section. It's not easy to play this slow and have so much soul but IWYD pull it off with aplomb. There is also plenty of the "swamp blues" funk that Waits created on albums such as "Swordfish Trombones" (1983), "Rain Dogs" (1985), "Bone Machine" (1992), and "Mule Variations" (1999). The opening track, "Chicago", feel like a Paul Butterfield Blues Band cut from the 1960s, the insistent beat and hard-edged guitar. Shragge's trumpet and Lindenhorst's tenor ride the wave, poking at the beat and pushing back against the rhythm. The influence of the classic "James Brown beat" enlivens "Down In The Hole" and Lindenhorst jumps on it for all he's worth. Add Ryan Butler's raucous guitar solo and one can't help but dance. "Temptation" is a slinky "cha-cha" with Shragge caressing the melody while Lindenhorst plays a bit of rhythm in the background. 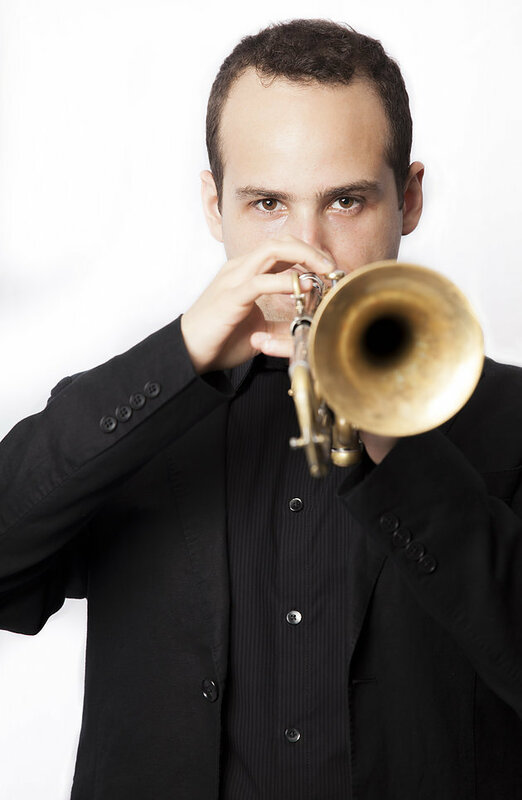 "Anywhere I Lay My Head" finds the trumpeter coming on like a country preacher while the rest of the sextet support his exhortations. 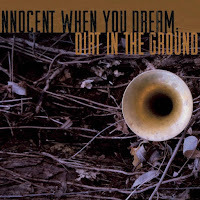 Aaron Shragge was part of the first version of the group Innocent When You Dream and its 2010 self-titled debut. For "Dirt On The Ground". 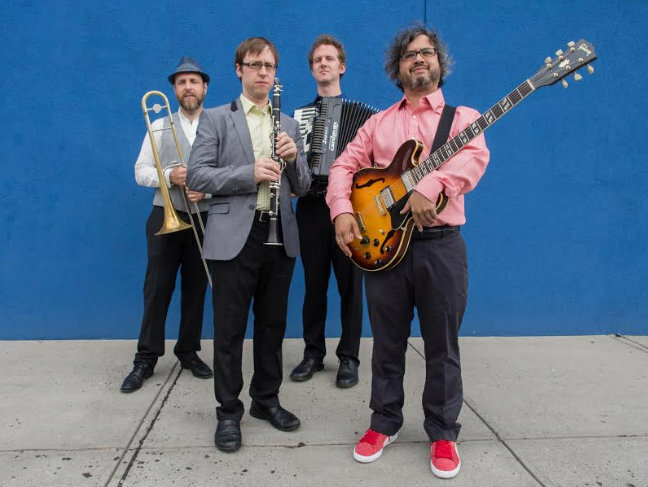 he organized a new band with the same focus, to celebrate the music of Tom Waits. The earlier recording is quite good as well but the newer one has a bit more fire, a bunch more blues, and a touch of sass. If you are a fan of Mr. Waits, you'll find much to enjoy. For more information, go to www.aaronshragge.com.